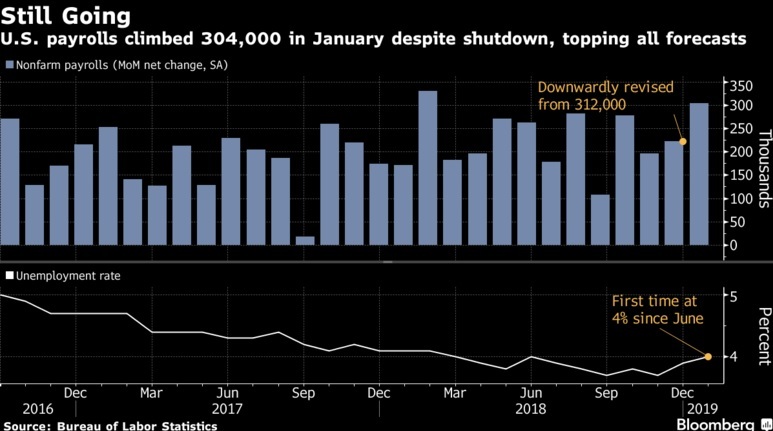 U.S. hiring in January topped all forecasts while wage gains cooled and the government shutdown pushed up the unemployment rate, signaling job gains remain robust without major inflation pressures that would worry Federal Reserve officials. 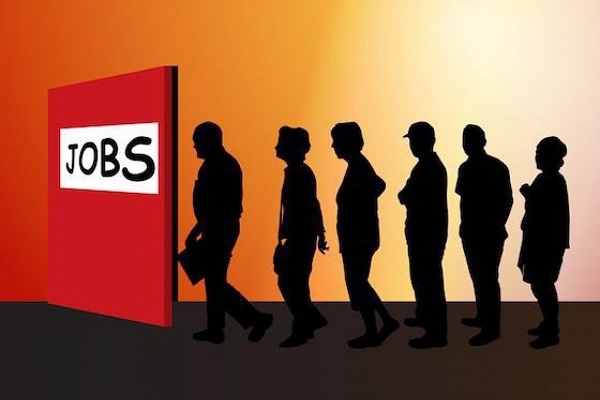 Nonfarm payrolls increased by 304,000, the most in almost a year, after a downwardly revised 222,000 gain the prior month, a Labor Department report showed Friday. The median estimate in a Bloomberg survey called for an increase of 165,000, following an initially reported 312,000 in December.